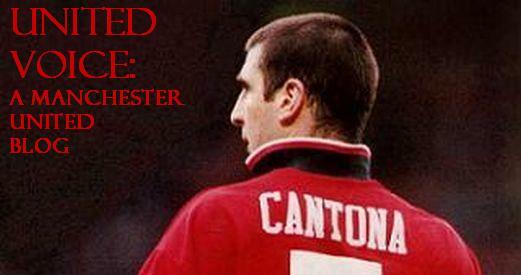 Seeing as how the title of this blog is the first part of one of the most legendary quotations in football history, I figured I'd title the first post as the remaining end of the quote by Manchester United icon Eric Cantona (complete with french accent spelling). As some (many? I have no idea the general football knowledge of my readership or whether I have a readership to begin with) of you may know King Cantona said this at a press conference after recieving his near-year long ban from Premiership football for "kung-fu" kicking a Crystal Palace supporter. So if you haven't guessed it, yes, I am indeed a Manchester United fan, through and through. But apart from my allegiances, I am an unabashed football freak. Some might call the beautiful game soccer but I will only call it football on this blog as it is actually played primarily with one's feet and is an older sport than American football (and I'm a NY Giants fan from Long Island, no less, so this is not coming from a Eurosnob place). Moving on...I wouldn't say I have the most extensive football knowledge and being on 20 years old I definitely don't have as much of a sense of history as others (I was 8 years old when Cantona uttered those famous words, wasn't even born yet when Sir Alex took over at Old Trafford) but I do have a fierce and undying passion and respect for the game and that is one thing that no one can ever question. I hope this blog can be a haven, a forum, and an all-around informative site for my fellow football fanatics around the world (especially all my fellow United fans!). I also hope that this blog can help put to the bed the notion that Americans (yes, I was born and raised in Long Island and only discovered the beautiful game around 9-10 years old) don't know what they're talking about when it comes to footie. Yea high hopes, right? Truthfully, acquiring any readership (as in at least one person) would be nice but I really just made this thing so I could get my constant thoughts and opinions on football out of my head when I don't have my buddies around to tell them to. So that's all for now, being a United fan I'll obviously have some thoughts on the FA Cup Final which I'll post tommorrow as I'm home from college now and have nothing better to do. Cheers.